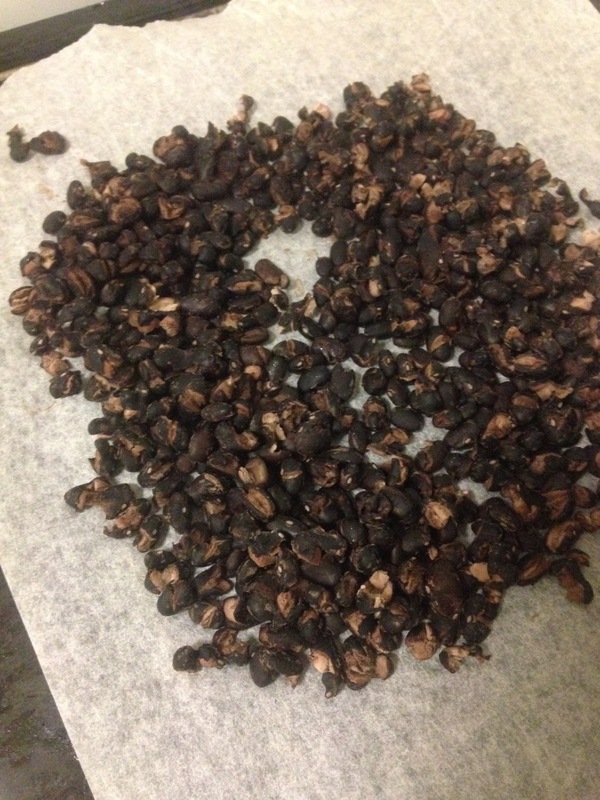 Preheat oven to 176 C. Add rinsed, dried black beans to a parchment-lined baking sheet. Bake for 15 minutes or until beans appear cracked and feel dry to the touch (see beans in food processor photo). Remove beans from the oven and then increase oven heat to 190C. Add black beans to a food processor along with pumpkin seeds and garlic and pulse into a loose meal. Then add cooked/cooled quinoa, salt, cumin, coriander, tomato paste, coconut aminos, chilli flakes and nutritional yeast (optional). Blend to combine until a textured dough forms. Taste and adjust flavour as needed, adding more coconut aminos for saltiness/depth of flavour, chilli flakes or add chilli sauce for heat, cumin for smokiness, or salt for overall flavour. Scoop out 1 1/2 Tbsp amounts and gently form into small discs using your hands. 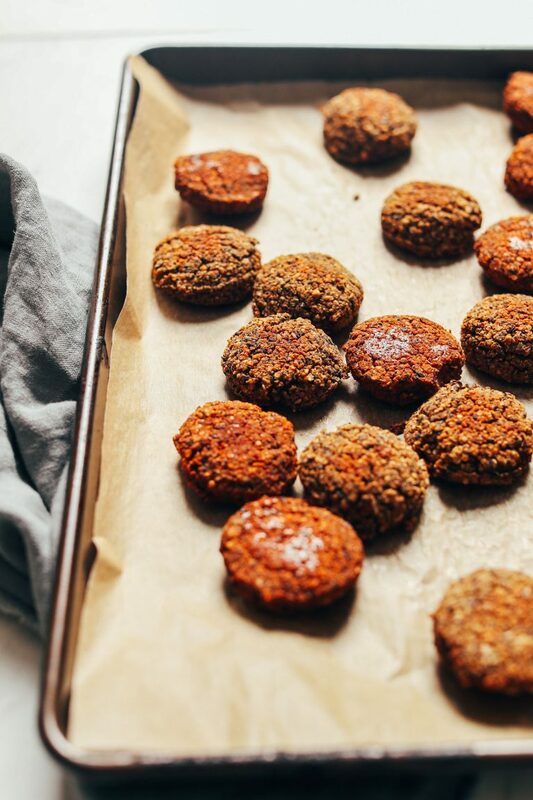 Add formed falafel to a parchment-lined baking sheet. Bake for 15 minutes. Then flip to ensure even baking and bake for 10-15 minutes more or until golden brown and crispy on the edges. Store leftovers covered in the refrigerator up to 3-4 days. To freeze, either freeze once baked and cooled OR before baking. Then add to a freezer-safe container and freeze up to 1 month. Reheat in a 190 C oven until warmed through.